1947: WHERE NOW BEGINS by Elisabeth Asbrink. Published by Other Press, January 30, 2018. Nationalism and fascism are on the rise. Countries in Europe are closing their borders to immigrants. A two state solution is being proposed for Palestine. India and Pakistan go to war with each other. The Muslim Brotherhood is being dealt with in Egypt. The American President is voicing his disgust with a certain ethnic group. If this all sounds familiar, it should. 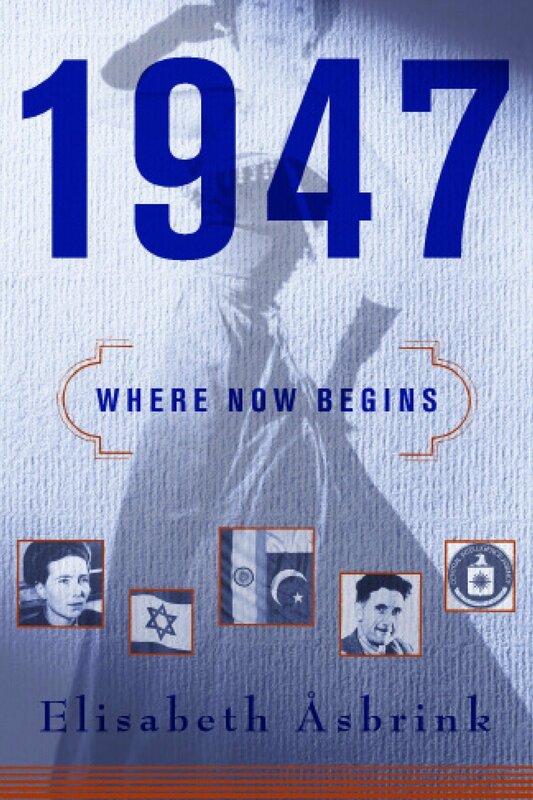 Author and historian Elisabeth Asbrink has written a small but concise history of 1947. Even in 2018, the echoes of our recent past are astounding. 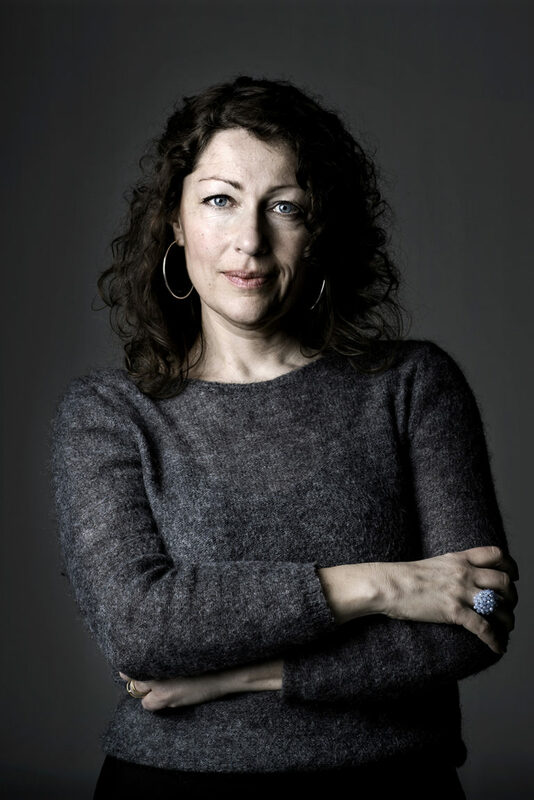 Elisabeth Asbrink. Courtesy of Hedlund Literary Agency. 1947 is the year that Christian Dior caused controversy around the world with his “New Look,” with women’s fashion designs that utilized yards and yards of fabric to produce women’s wear at a time when Europe was just beginning to recover from the war, and people all over the world rebelled at what they saw as his excesses. War crimes trials were still happening, and a Polish Jewish lawyer named Raphael Lamkin had recently coined a word for what Nazi Germany had done – genocide. Lamkin would die an early death, driving himself virtually insane in his efforts to explain the term, and the situation, to some of the Nuremberg prosecutors, and to the United Nations. Grace Potter was a young, brilliant mathematician for the US Navy, was working on the Navy’s massive Mark II computer at Harvard. In 1947, she discovered the first bug in a computer – a moth had shorted out an array in the Mark II. Thelonious Monk was being spoken of quite highly in jazz circles, and 1947 was the year he finally recorded some of his own music and was credited as being the father of bebop. Billie Holiday, and other jazz heavyweights, had completed a film called “New Orleans,” a film that was deemed to be too black. George Orwell had just finished his final novel, a dystopian story set 37 years into the future, a story that is still widely read today. Jews were trying to emigrate to Palestine while European countries closed their borders to their movements. At the same time, war crimes trials were finally beginning for some of the nearly 20,000 Bosnian Muslims that had been formed into a special SS division by Heinrich Himmler. Other Nazis were in hiding, and some were escaping to South America via a route through Sweden. Fascism and nationalism were again on the rise, and plans were being made for a conference in 1951 in Malmo, Sweden. The effects of this conference are being felt, around the world, today. Those who had gathered said they would exercise great patience. Elisabeth Asbrink takes readers through the year month by month, and her book is a quick, easy, and informative read. Along the way she sprinkles in a bit of her family’s history, and this increases the already substantial human element of the book. 1947: WHERE NOW BEGINS is a great book for anyone who’s interested in post-World War Two history, or for the person who simply wants to gain a better understanding of current events. If you’re like me, you’ll learn something new.